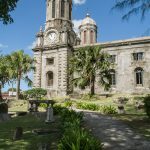 The economy of Antigua today is dependent on tourism. The port of St. Johns is a popular stop on the cruise ship routes. 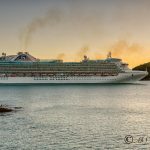 There is also a well established network of resorts and villas for those who wish to stay on the island a little longer than the few hours offered to the cruise ship passengers. Anyone venturing out of the port or their vacation home will soon see that Antigua was once dependent on a different industry: Sugar. 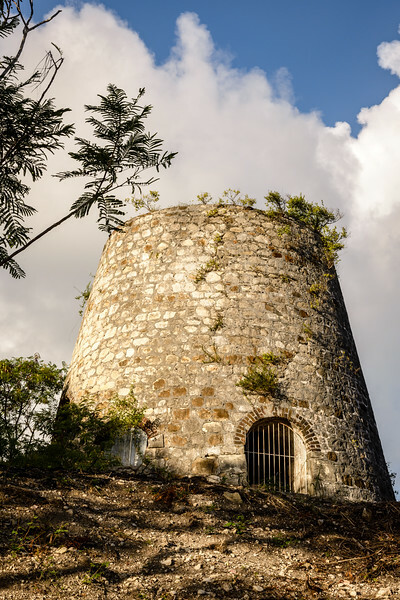 Throughout the island are the remains of many sugar mills. 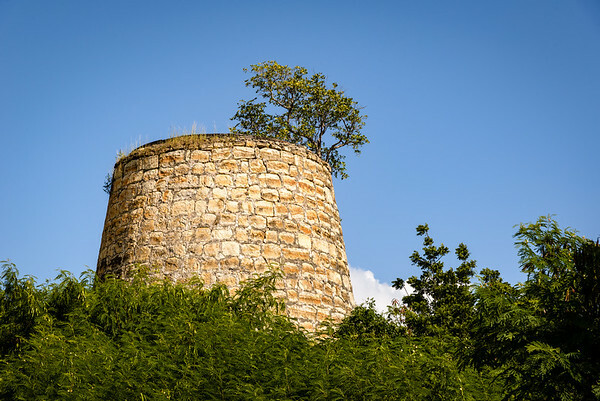 Per the Museum of Antigua & Barbuda there are “about 112 sugar mill towers” dotting the countryside. Some of these are on private land which may explain why even the museum cannot give a definitive answer to exactly how many Antigua sugar mills there are. No matter where you go you will see these limestone towers. 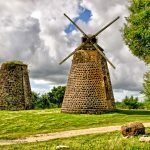 The most famous and only restored sugar mill is Betty’s Hope which we visited in an earlier post on this web-site. 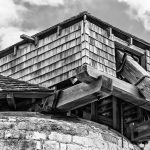 Today we take a look at some of the other sugar mills. None of these have names that I have managed to find. In fact, only a few are even marked on a map. This though will not stop anyone who tours the island from finding a nice representative sample. Sugar was the get-rich quick industry in 1630-1750 throughout the Caribbean. 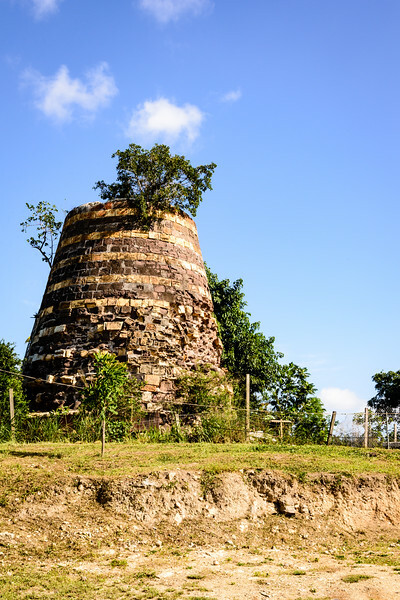 The large number of remains of the Antigua sugar mills shows how profitable the business was. The industry relied on slaves in the early days and then on indentured labor after slavery was abolished on the island in 1834. 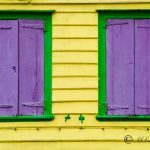 It was said, though, that there was very little difference between the pre- and post-emancipation era for those who worked the sugar plantations. Click here to learn more about life on a Caribbean Sugar Plantation. 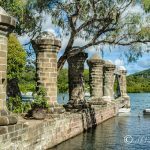 Dotted throughout Antigua are the ruins of about 112 sugar mills bearing witness of the industry which dominated the island for over 300 years.